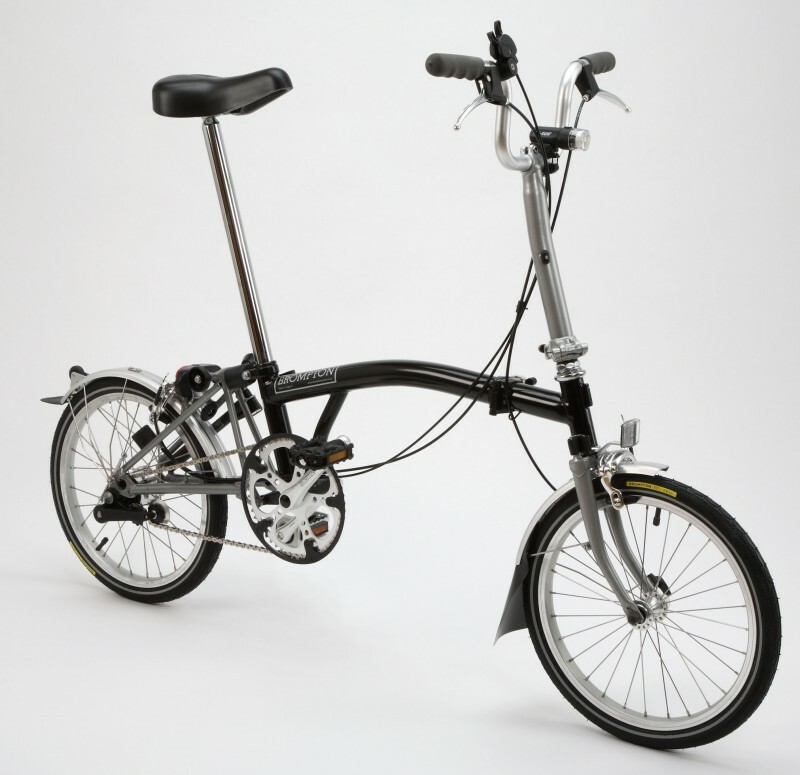 We normally have most popular Brompton versions in stock. If we don't have a suitable model you can order your own personal Brompton. The order form lists options and main accessories. Model name (for example: M3L) indicates type of handlebar, number of gears and mud guard/rear rack option. Seat and seat post are chosen to suit the riders requirements. Tires and bags are available in numerous versions and the lights can be dynamo or battery powered. Countless owners use Brompton on a daily basis. Brompton can easily carry luggage and the bike itself is very easy to carry and transport when folded. All front bags are attached to the frame with a carrier block so the steering is not affected by the load. 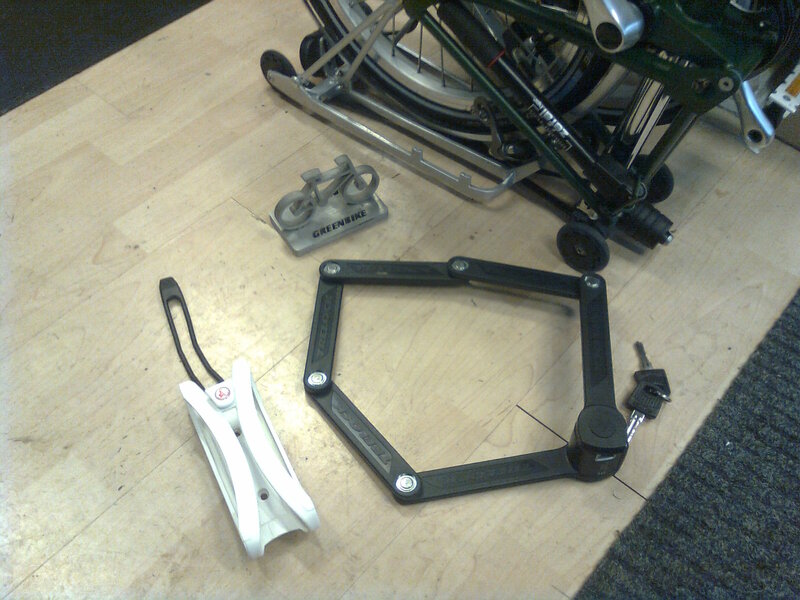 For transporting the bike Brompton offers a light cover. For a longer trip we have the B bag. Click here to see more information about Brompton accessories. -Brompton studded tyres (Schwalbe Winter 30-349) finally available! 35€/pc. -Folding lock. 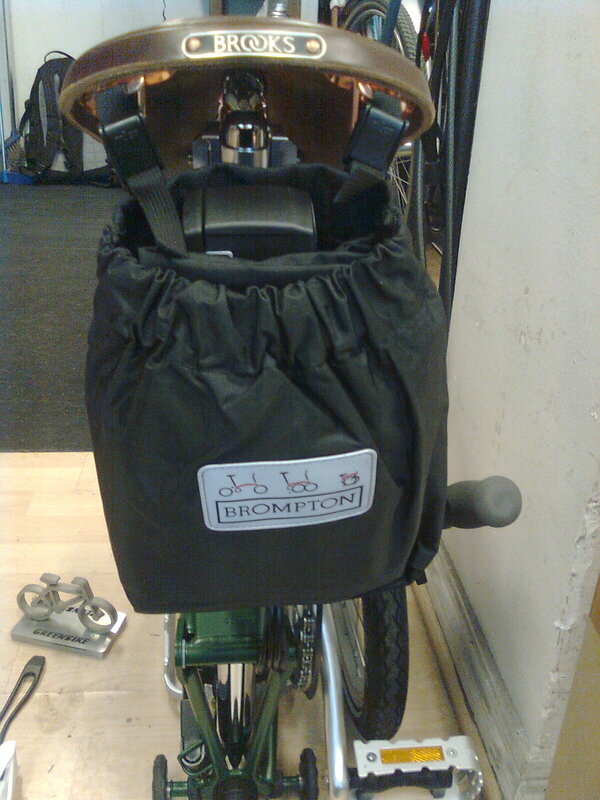 Fits Bromptons saddle bag with cover. 69 €/pc.